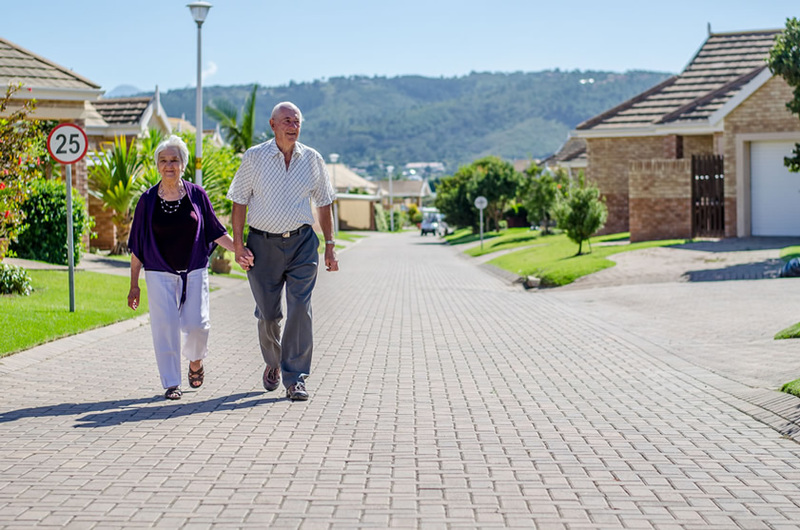 Groenkloof Great Brak River Retirement Village is located in the picturesque and peaceful area of Great Brak River in the Southern Cape, close to the more commonly known Mossel Bay and Hartenbos retirement area. The village provides residents with the peace of mind of security and excellent medical care on a 24-hour basis. North facing village, bringing light and warmth into homes. Low maintenance structures, being high quality face brick, roof tiles and aluminium. Low levies and a strong Home Owners Association balance sheet. Bulk meters for electricity and water. Walking distance from town centre. Considered a safe area, with effective security fencing and controlled access. Conveniently located 15 minutes drive from the George airport, two large malls, several beaches, game lodges and some of the world’s best golf courses. The village consists of own title houses, assisted living flats, a sub-acute unit, a care unit, and a community centre. The Home Owners Association is very active and inspirational. Social events are held from time to time and entertainers are invited to perform at the village. On Sundays the local church’s sermons are broadcasted on the big screen in the community centre, and several prayer meetings are organized during the week. There is on-going collaboration with clubs in the area i.e. the bowling club. Even though own title houses are sold out at Great Brak River and Reebok, there are houses available in our George Villages. Also contact us to find out about re-sales, waiting lists or other buying opportunities. The Assisted living flats and Care Units frequently have availability. Please contact us in this regard.